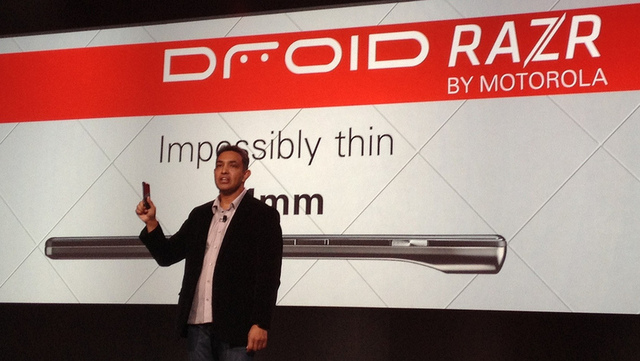 Motorola looked to steal a march on Samsung today, announcing a new, incredibly thin, 7.1mm phone to add to their “Droid” portfolio. They said during the launch that it will be making it’s way to Europe in the coming weeks. I’m not sure what the take up will be like with Networks here as Motorola have slipped off the radar completely in recent years but with Google pushing them along now that may change. It is running Android 2.3.5 Gingerbread for now, no word on Ice Cream Sandwich yet but I’d imagine an announcement on that will follow soon after the Google/ Samsung event tomorrow. Have a look at the specs and pics below and let us know what you think in the comments.